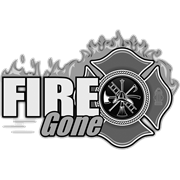 FireGone is a fire suppressant packaged in a compact and cleverly designed aerosol can. 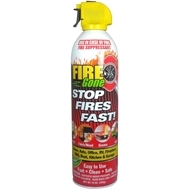 It delivers a strong targeted stream that goes right to the source of the fire, coating it with specially formulated, firefighting foam. 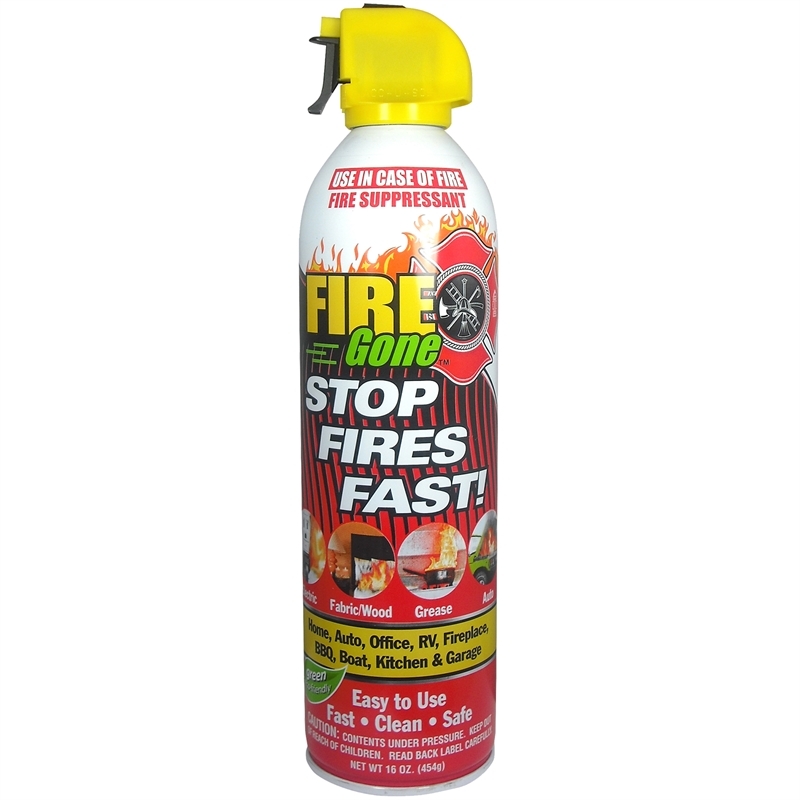 Effective on most small fires around the home.